Shortly after Facebook goes public next month, the company will be launching a program that will allow other public companies to sell stock to customers right from their Facebook page. Facebook users will be able to purchase shares in as little as $10 increments void of any fees or brokers, according to former Facebook executive and current director at Loyal3 Chris Kelly. Loyal3 highlights the fact that only 18 percent of American families own stock, a statistic that they hope will change with the introduction of their CSOP, or customer stock ownership plan. Direct purchase plans have been around for several decades but many companies don’t use them because it isn’t cost efficient to oversee millions of tiny shareholders. By making ownership as simple as three clicks and eliminating fees and brokers, Loyal3 believes that the average Joe will be more inclined to purchase shares. CEO Barry Schneider notes that ownership changes everything as people care more about things they own than things they don’t. As the adage goes, “No one washes a rented car” because they don’t own it. 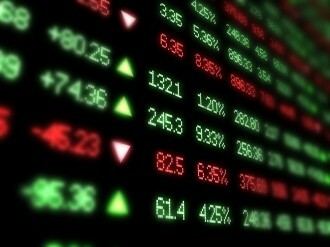 It is believed that Facebook users will be able to purchase stocks through the social network as early as June. There will be a monthly cap of $2,500 to discourage day traders, however. The idea sounds promising but one must wonder what sort of financial impact could be had due to an influx of amateur stock traders hitting the market or worse, dumping their stocks in mass at the wrong time.